The legend of El Tortuga grows. He&apos;s the Twins catcher whose flare on the field made fans fall in love with him last season, with no moment shining brighter than his race around the bases against the Yankees in September. 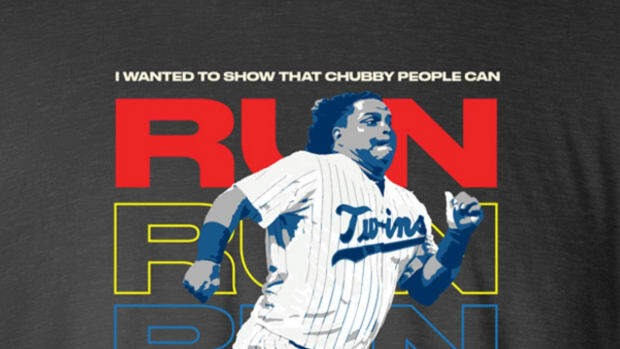 "I just wanted to show that chubby people also run," said Astudillo after that game. We thought it was impossible to top that moment, but Astudillo has proved us wrong with a decisive, towering home run in the Venezuelan Winter League playoffs that he admired on one knee, with an arm resting on his bat. Behold, the glory of El Tortuga. Astudillo is beaming with confidence for his team, Caribes de Anzoategui. According to MLB.com, the 225-pound backstop hit .325 with 10 homers and just four strikeouts in 235 plates appearances during the regular season, and he&apos;s hitting .400 through five games in the playoffs. 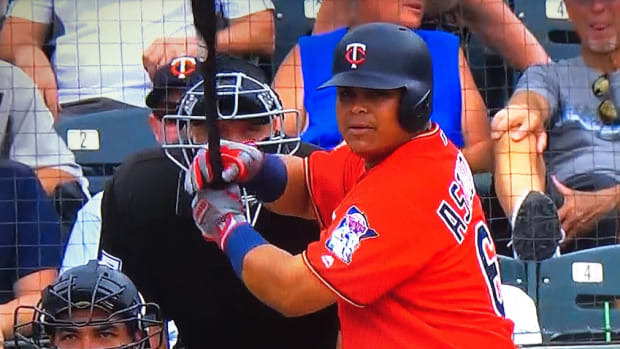 Astudillo could be Minnesota&apos;s everyday starting catcher in 2019, and that&apos;d be amazing for fans he&apos;s become a cult hero to. We could watch Astudillo round third base a million times. The bald eagle landed on his right shoulder and Paxton hardly flinched. Kepler was a little bit too confident on this one.